Frank’s practice focuses on commercial insurance coverage disputes, including coverage analysis, litigation, and appeals. 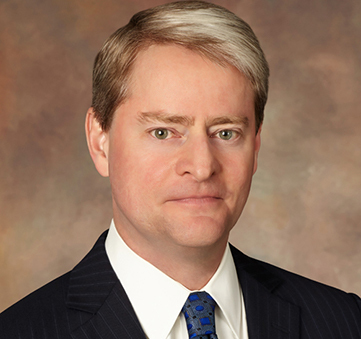 He has litigated multi-million-dollar disputes involving commercial property and builders risk policies, including business interruption and delay in completion claims, and extra-contractual claims under the Texas Insurance Code, the DTPA, and common law claims for “bad faith.” Frank has also analyzed and litigated coverage disputes involving primary and excess commercial liability policies. Federal Court: Admitted to practice before the United States District Courts for the Northern, Southern, Eastern, and Western Districts of Texas, as well as the United States Court of Appeals for the Fifth Circuit. EDUCATION: Bachelor of Arts degree from Duke University, 1987. Juris Doctor from The University of Denver School of Law, 1989. Managing Editor of the University of Denver Journal of International Law and Policy. Master of Arts degree in international studies from the University of Denver Graduate School of International Studies, 1990.